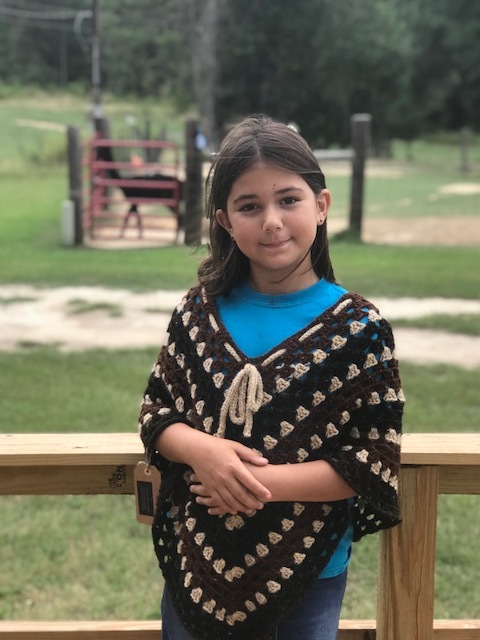 Handmade from 100% alpaca yarn, this girl's poncho fits ages 5 to 12. Draw string tie at the neck makes this piece fit for many years!!! We raise our herd of huacaya alpacas in South Carolina. Shearing occurs each spring. The fleece is then sent to two family-owned, Southeastern mills to be spun into yarn. My sister-in-laws use our yarn to knit and crochet items.